16 months of having first hand experience being a new mother, I wouldn’t say I know it all but rather; just starting on this journey towards parenthood. 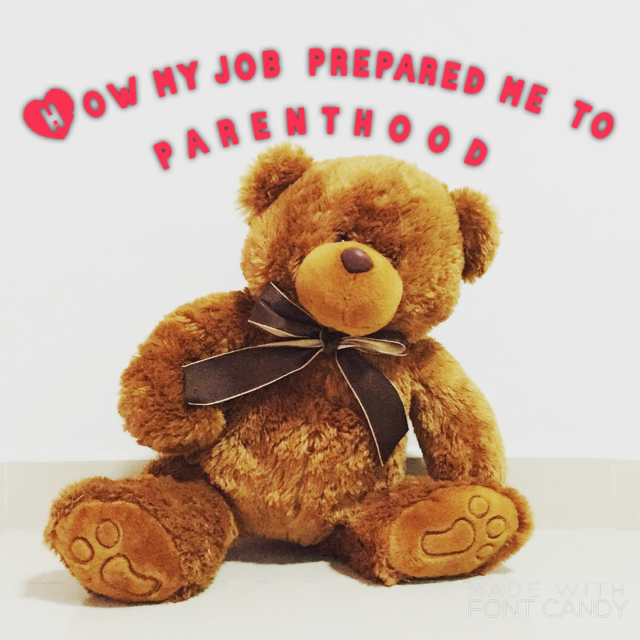 If you were to ask me, I can say (I assume other parents agrees too.) this is the toughest job I have taken where my compensation is the smiles and kisses of my little one and keeping her healthy and safe is my bonus for a job well done. Like may other women nowadays (unless you’re a tai tai) given the privilege to hold an nourish careers, I too am experiencing the joys and pains of being a working mom. You can all do as much to prepare for parenthood by reading books ans listening to stories and tales, but one of the keys that helped me gear to being a parent is — My Job. Through my job, I’ve learned PATIENCE. My “customers” needs has designed me to develop patience in providing services at par to their expectations. Sometime, their needs and wants may change’ outrageous requests and even deadlines, and you may get annoyed and disappointed along the way. Customer’s satisfaction is my utmost priority! At home, my patience sometimes is tested by my little one who seem to enjoy seeing me picking up (like 100x!) stuff she throws or, our catch game every time she ran fast to the unsafe areas- but not a worry, my patience level has been “trained”. It is tiring and exhausting but you won’t mind because you CARE. No work can be “done” if you didn’t care. Team will not progress if you wouldn’t care. (overall) Workplace will be chaotic if management doesn’t care. Your care is important, team or individual you may be. It is with care that $#!+ gets done! LEARN. My organization and my job had taught me to learn, relearn and share what I have learned and repeat! Learning doesn’t stop- we just need to open our eyes, ears and our hearts/ Life is our classroom and the people we meet are our teachers no matter how old or young they are. Even my child taught me things that I never knew before- new vocabularies (birds- “og”) and new methods (eating yogurt via straw). and finally, to LEAD. I believe everyone is a leader. Each of us is given opportunity to display our leadership into something, at work or at home; as a team member or a family member. It is in our hands how we can embody leadership in our daily lives. My role had prepared me to lead my little minion, in the hope that U can develop, hone and flourish whatever natural talent she may have. This entry was posted in Titansoft Culture and tagged career, Career Development, learning on July 27, 2015 by Jocelyn.